Before launching a Facebook Ads campaign for any client, one of the very first things we do is talk about what their offer will be. 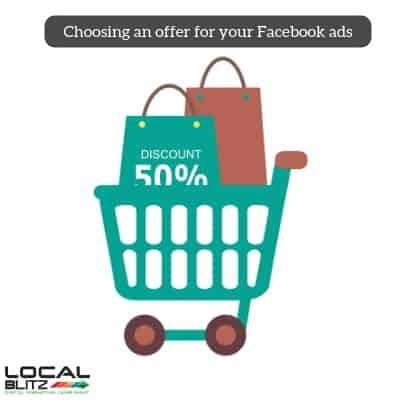 While this offer can be wildly different for different business types, your offer will make or break your online advertising campaigns. Think about when you are scrolling through your feed, how long do you look at an ad? I would bet a lot of money if you even notice the ad it is for a split second and that split second is the same amount of time you will get with your audience when running an ad, if you're lucky. All this to say that while there are a lot of things you may want to test, the offer will make or break your conversion rates. Hopefully, now we agree that the offer is important for your Facebook ads. Assuming this is the case, let’s talk about how to choose a solid offer to test. One exercise that I walk clients through to decide offers to test surrounds two questions. “What are you willing to pay to acquire a new client” and “What is the lifetime value of a client”? These two questions will give you a gauge from a financial perspective what you can realistically offer to your prospective customer. For this article, we will have to remain very vague. A client or customer type obviously varies widely from industry to industry. From Ecom, to service business, to news outlets, the value of a customer is very different, however, the process to determine what it may cost to acquire a client is the same. In order to decide what you may pay to acquire a new client, I would first look at what your past ad campaigns have cost you. If you don’t have any ad campaigns and are working with an agency ask them what their other clients are spending on ads and if they have any data on what different industries are paying to acquire a new client on Facebook. As a general rule, you may break even or even lose money when acquiring a new client via advertising, so pick a realistic number to start, based on your total ad budget. For instance, if you are spending $500/mth it may be realistic to say that a new client may cost you $100-200, which for some industries creates a profit immediately and for others they may start out at a loss with the new client. Which brings us to the principal of lifetime client value. The other part of the equation is the lifetime client value. If you do not have exact data on this or it is not available to you, I recommend making an educated guess. We have worked with hundreds of business owners and once they start thinking about it, they generally have an idea of what people are spending with them. Once you have a gauge on the lifetime value of a client it could give a better gauge on what you are willing to spend to acquire a new client. For instance, if your lifetime value average is $100, spending $300 to acquire a client may not be realistic. The other option is figuring out systems to push up the lifetime value of the client, but that would be an entire article or course by itself. Now that you are armed with data and know what a client is worth to you and have a guess on what you may spend to acquire a client you can start to make a decision about offers. Generally, we ask that clients have at least two offers to test out of the gate. Sometimes we will test the offers at the same time, but more often we will run one, see how it performs and then run the next one and compare the data. When choosing an offer to test it needs to be aggressive and if you can assign a value to it even better. For instance, if your offer is FREE Installation make sure you assign a dollar value to that offer. Again, every business is different, but when you are choosing offers to test use the lifetime customer value and cost of new customer acquisition to help with your decision making. Also, testing offers is very important to understand fully what is working and what is not. We generally test many different things, such as images, copy, offers, CTAs and more but all that testing does nothing without a good offer and a great product. Happy testing!